Astonished by the intimate degree of access that we had to the remains of the once-prominent city, we had a picnic lunch on the seats of the old amphitheater. Afterward, we strolled through the thermal baths, and past the old aqueducts and city walls. We then walked among the ornately-carved marble sarcophagi, which are scattered throughout Salona’s cemetery. 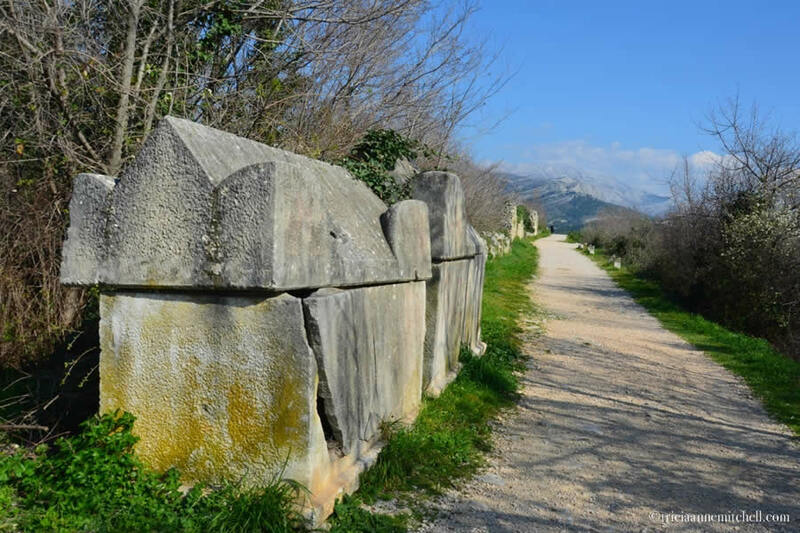 Many of the ancient tombs had cracked or were missing lids, reminding us of a conversation we had with Split locals who said their friends had found ancient trinkets at Salona decades earlier. Having also recently visited the Split Archaeological Museum, which contains many of the portable relics unearthed at Salona, we were better able to piece together what the community must have once looked like. My most memorable moment of the excursion occurred as we walked through the Porta Caesarea, a once-monumental gate that led to the heart of ancient Salona. Ruts had long before been etched onto the stone road on which we were walking, evoking images of Roman wagons and carts, and the thousands of people who literally left their mark there. The sun’s last beams of the day cast a warm glow on the tracks, and the silhouette of a female figure and her dog appeared. Slowly, the duo came into focus. When I saw the woman’s modern clothes and the dog’s leash, I shifted forward a few millennia, back to the present. The area around Salona is now surrounded by highways and industrial buildings. Even though these symbols of modern times are encroaching on the ancient relics, it’s possible to block them out while you ponder the area’s history. Salona was settled by the Greeks and Illyrians, but most aggressively developed by the Romans. During the reign of Emperor Augustus, Salona became the center of the Roman Empire’s province of Dalmatia. Over the course of several centuries, it underwent destruction by the Avars, Slavs, and Venetians. In the 6th century, Salona’s inhabitants fled the city, seeking shelter in the retirement Palace of Roman Emperor Diocletian, which today comprises the heart of Split’s Old Town. After Salona was abandoned, it fell into further disrepair. Even today, it has not been extensively excavated. Salona enlivened my exploratory spirit, satisfied my hunger for history, and left me wanting to learn more about the Roman Empire. It’s my hope that it will soon be preserved so future generations can savor it, too. From the most obscure spots to those that are already tourist hot spots, what Ancient Roman sites would you recommend? 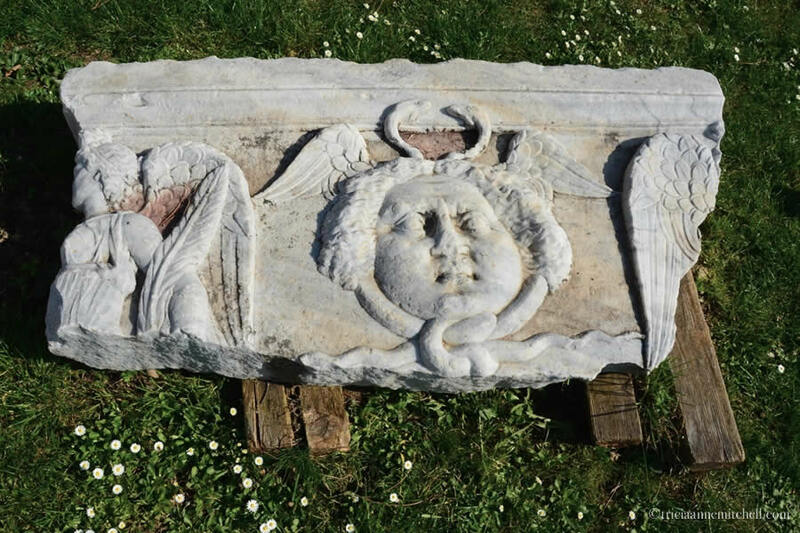 An ancient decorative element lays in the lawn near the Manastirine, a former necropolis and basilica. 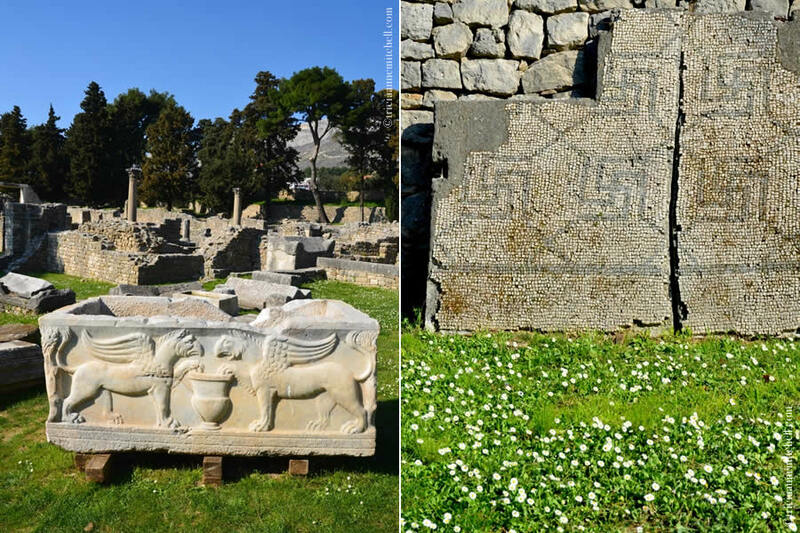 Many such fragments and sarcophagi (stone coffins) were scattered throughout this area of Salona, creating a flea market-like atmosphere. 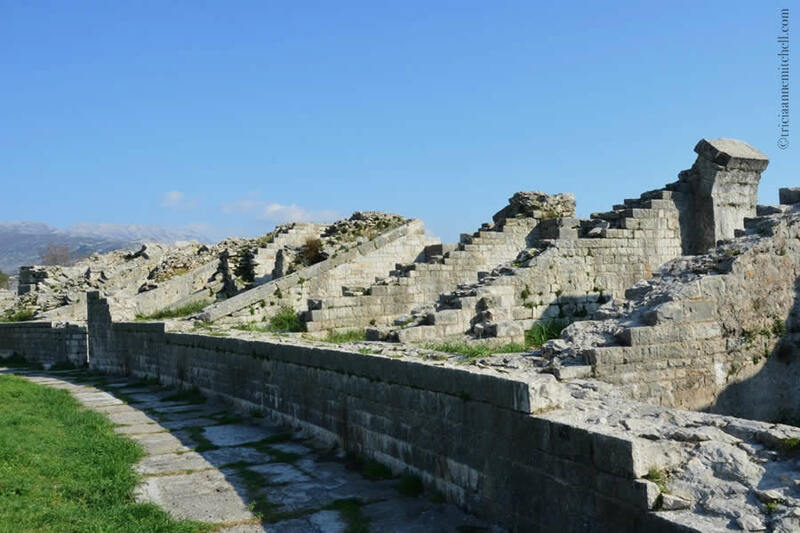 Salona’s amphitheater dates back to the 2nd century AD and was designed to house 17,000 spectators. Fights with animals and gladiators took place inside, and some Christian martyrs were killed here. In the 17th century, during battles with the Ottoman Turks, the Venetians made a strategic decision to deliberately destroy portions of the amphitheater. The ancient city is surrounded by residential areas, as evidenced by this laundry, drying in the breeze. We picnicked inside the ancient amphitheater. A few locals paraded through, including a photogenic French Bulldog. We otherwise had the ruins all to ourselves. The detail of a weathered capital atop a column, and an inscribed stone. 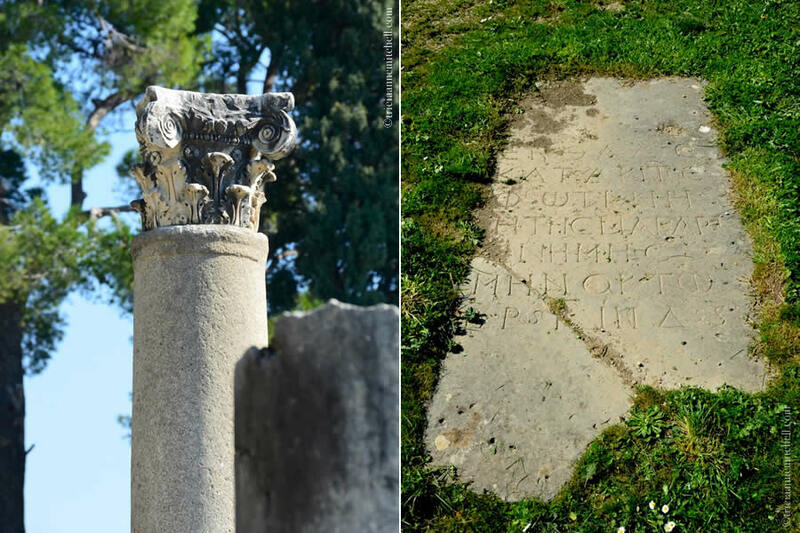 Inscriptions in both Latin and Greek have been found in Salona. A cracked sarcophagus sits beside a walkway still used by locals today for commutes or leisurely walks. The ruins of the Manastirine necropolis and basilica are visible through this former entryway. The cemetery was situated outside the city walls, as Roman convention forbade burials inside the city. Remains of the basilica and a sarcophagus. Nearly one thousand sarcophagi were discovered in this ancient cemetery. A richly-carved sarcophagus, and remains of a mosaic-tiled floor. A sarcophagus decorated with cherubs. Behind it is the Tusculum, a building commissioned by Croatian archaeologist Frane Bulić. 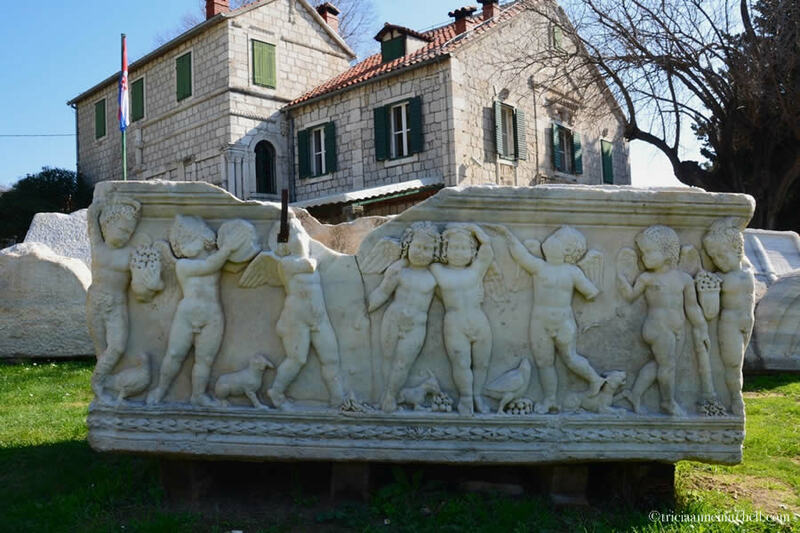 Built in the late 19th century, it features a hodgepodge of archaeological fragments from Split’s cathedral and Salona. It once served as a place to lodge archaeologists; today it is a museum. A pair enjoys a picnic on an emerald-green carpet of grass. The gardens and detail of the Tusculum building. Shawn explores, with the Dinaric Alps in the background. 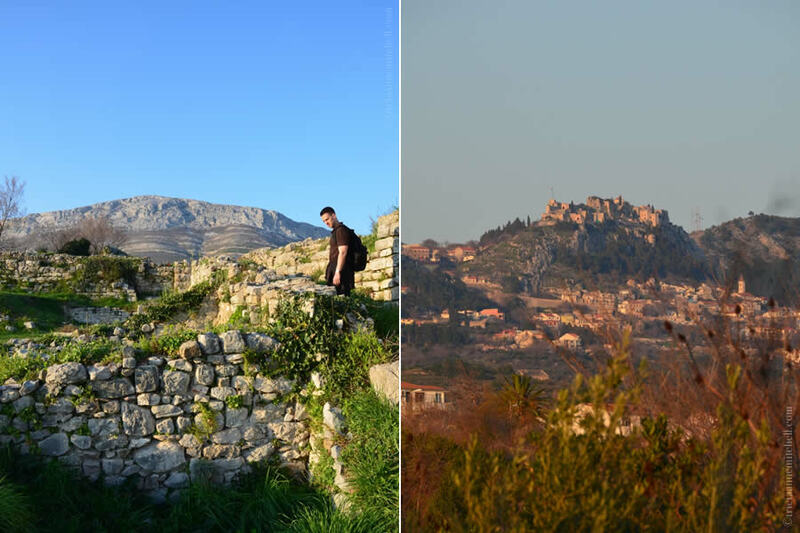 On the right is the Klis Fortress (Kliška Tvrđava) which sits atop land that has been contested throughout the millennia. It appeared in season 4 of the HBO television series, Game of Thrones, and is visible from ancient Salona. We devoted several minutes to trying to determine what this structure was once was. We left without solving this, and many other mysteries, but this sort of exercise was much of the fun of exploring Salona! On the left, an original road is devoured by greenery. 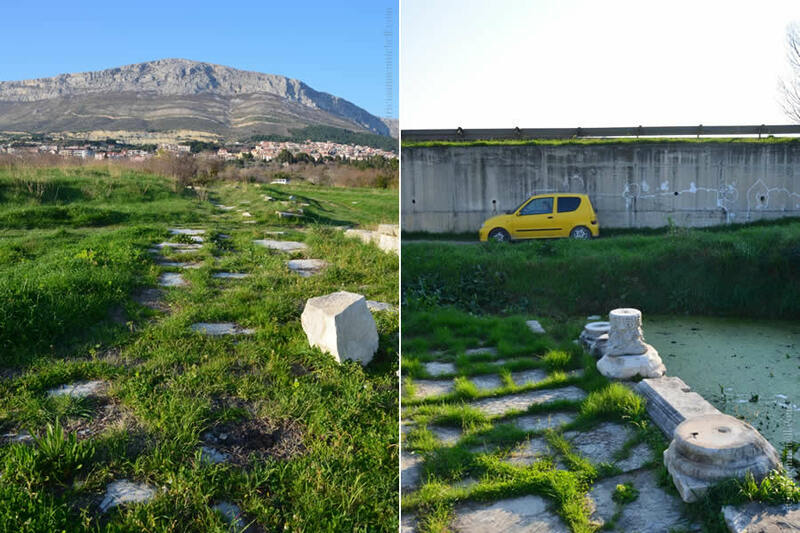 On the right, remains of columns near Salona’s ancient theater, contrasted with a yellow car. Ruts carved into the road by centuries of wagon wheels and carts. A family walks an ancient road, just before sunset. 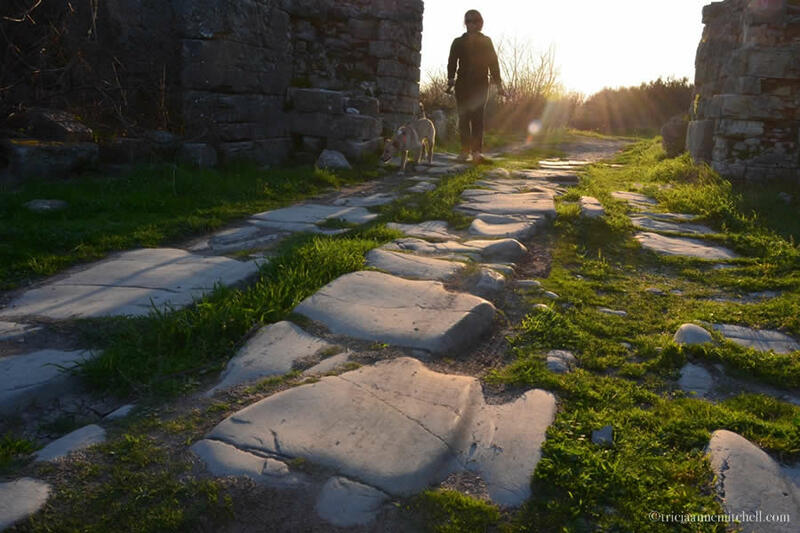 Ancient Salona is located near the modern city of Solin, roughly 5 km. (3 miles) from Split, Croatia’s second-largest city. To get to Salona, we took the bus from Split’s Old Town. We purchased tickets from the agent inside the ticket booth, but it was also possible to buy tickets directly from the driver. The bus driver knew we wanted to stop at Salona and alerted us when we had reached the right stop. Here is a link to Split’s Bus System (in Croatian), as well as an overview of how to use it (in English). In February 2014, there was a billboard at Salona’s main entrance indicating opening hours and ticket prices (Monday – Friday: 0900-1500; Saturday-Sunday: 0900-1400 and Adults: 20 kunas; Children: 10 kunas). There were no employees on site, however, to dispense tickets or collect money. We assume that the entry was free because we visited outside of the tourist season. Informational signs, written in Croatian and English, identified the major sites. However, we often had to use our own detective skills to imagine the functions the structures once had. Many spots remained a mystery, but that was much of the fun! 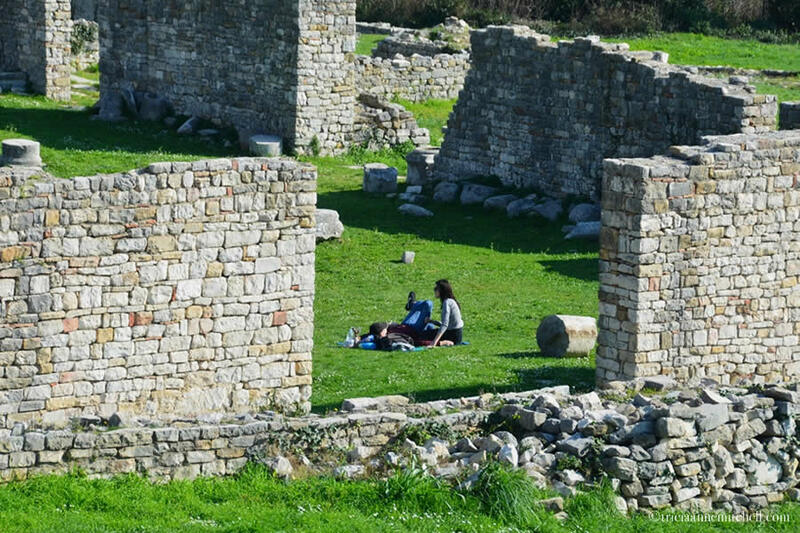 Between strolling, picnicking and pondering, we easily whiled away a few hours at Salona. See the City of Solin Tourist Board site for more information, including this pdf version of Solin’s informational brochure. The first time, we rented a studio apartment at the Apartments Mirkec (affiliate link) in Trogir. We enjoyed our 7 weeks immensely! The apartment had good Wifi, and a kitchen with all the basics. It was also perfectly situated in the heart of Trogir’s gorgeous Old Town, just a minute’s walk from the seaside walkway (the Riva). Trogir’s bus station was about a 5-minute walk from the Apartments Mirkec, making day trips using mass transportation easy. We also spent two winters in holiday apartments in the nearby city of Split. These apartments were in prime locations and would have been in high demand if it was summertime. Our first 2.5 months in Split, we stayed at the lovely Kaleta Apartments (affiliate link), which are located within Diocletian’s Palace. Our elegant studio apartment (called the ‘Diocletian’s Suite’) had lots of character, including Roman brickwork embedded into the wall. We had overhead views of life on Split’s Old Town streets, and we enjoyed chatting with the friendly owners, Novica and Negri. Two years later, we returned to Split, but stayed in the Varoš neighborhood at the Guesthouse F (affiliate link). We especially enjoyed the studio apartments’ central location, plus our tiny terrace, and the kindness of our hosts, Anja and Miro. (One of Guesthouse F’s apartments was originally a horseshoe maker’s workshop, owned by Anja’s grandfather. Shawn and I dubbed it the ‘horseshoe cottage’.) 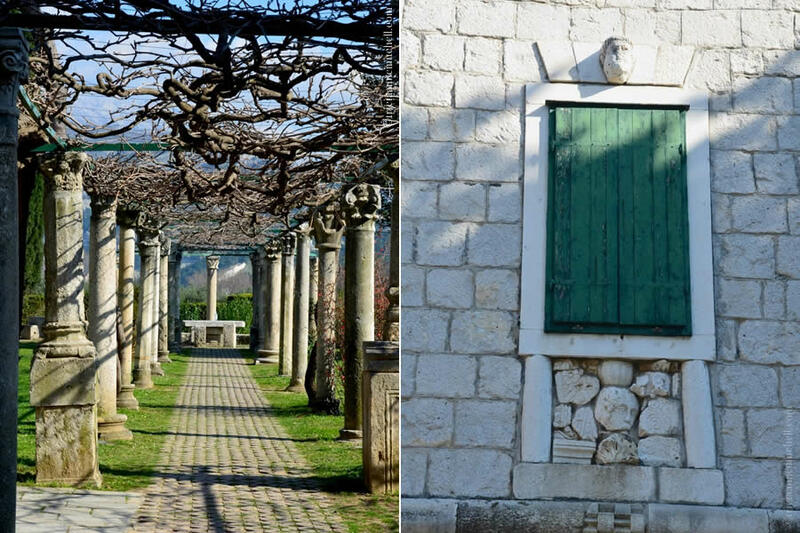 Varoš is just a few minutes’ walk from Diocletian’s Palace. With its quirky narrow streets and stone homes decorated with hunter-green shutters and flower boxes, Varoš is charming. Visit my Croatia guide for more trip tips, plus a round-up of all my posts about Croatia. Amazing! You must have felt like you had time travelled back thousands of years. If those stones could talk, what stories they would tell. Always nice to hear from you – and here’s hoping your week is off to a wonderful start! Ina, thank you for your kind words. I’m guessing you’ve been to Salona on numerous occasions? Fantastic, love the way you can walk around these ruins and get up close and personal, one thing which is hard to do here in the uk, most sites charge you a small fortune and even then you can’t get close. Mark, not long after we visited these Roman ruins, we went to Italy’s Emilia-Romagna region. In the city of Modena, we happened upon an old Roman cemetery, and the headstones were displayed in an open-air museum of sorts, but connected to an alarm. 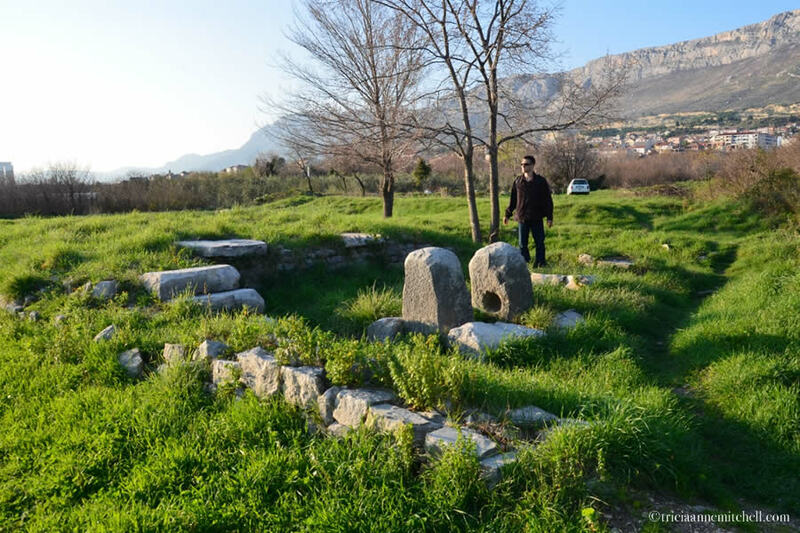 Seeing the distance between us and the relics there reminded us how lucky we were to be so close to Salona’s ruins, but it made us wonder how much longer Salona can remain preserved if left unprotected. Your experience walking through the Porta Caesarea reminded me of a similar feeling while rambling on the via Sacra as it passed through the Roman Forum. It’s fun to hear that you had a similar experience. Come to think of it, I’ve been to Rome twice, but I don’t recall having gone into the Roman Forum. The first time I was on a hurried tour of the city, and during our next visit, I think it was closed for the New Year’s holiday. Perhaps that’s why Salona left such an impression on me! Now that I’ve found those two websites devoted to mapping out Roman-era sites, I think I could be exploring for a lifetime. :) Thanks for sharing your memory here. What interesting ruins. I would love the solitude to explore this which is so unlike other places, where it is quite controlled and crowded. But, I do wonder how much has disappeared over the years and ended up in the hands of art dealers. Lynne, we pondered the same question. In antique stores in neighboring Split’s Old Town, dealers sold coins and other trinkets reputedly from the Roman Empire. I’m not sure if they were reproductions, if they were perhaps authentic and taken from Salona decades ago, or even if they’d been found within the locals’ own property. One of our guides said that his friend had found rare coins in his own yard many years ago. Being from a ‘new’ country, such possibilities fascinate me. That is some awesome ruins. Your have captured the Roman ruins of Salona beautifully. They give a great sense of the place – a place I wouldn’t mind seeing and exploring one day. Otto, I’m glad to hear that you might head there someday, as I think Salona is a site that doesn’t generate as much interest as it should! I appreciate your kind words too. Do you have Roman ruins that you could recommend? I’m ever curious to learn about the more obscure places or those that offered meaningful experiences to visitors. I don’t think I have explored any obscute Roman ruins yet. Just the “regular” ones. 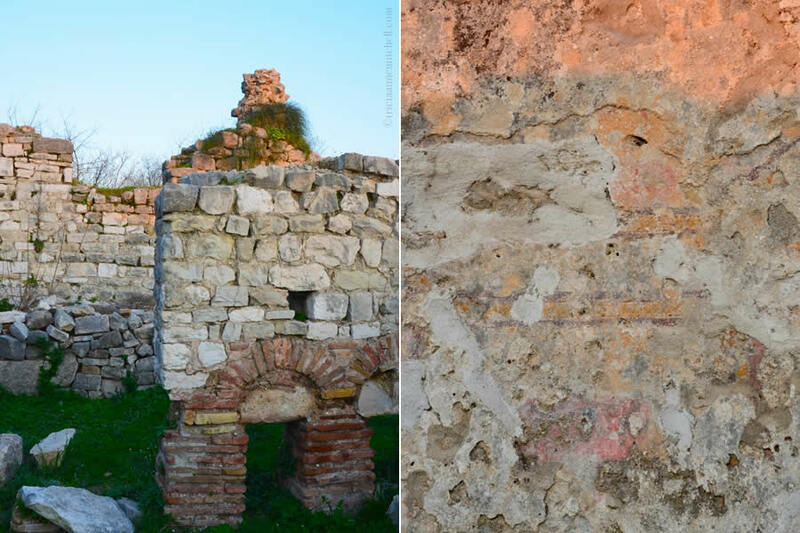 Had to smile about the laundry photo :-) Pretty amazing to have such historical ruins of Salona pretty much open to the public like it is ~ that would be fantastic to excite the soul & ponder the history of the Roman Empire (these are really pieces of 2,000 year old art!). As you mention, I too hope that there are some preservation works/plans to ensure it sticks around another 2000 years. What a great sight/site this must have been to visit, cheers! If your friends are still in Croatia, and near Split, I certainly recommend a few hours here. Have you heard any of their adventures from the road? Ah, must be a gorgeous time to be in Croatia – nothing but positive envy though. :) I’m wondering if many winemakers have already harvested grapes there, and if not, how fun it’d be for your friends to participate, if they fancy wine, of course. I’ve heard it was unfortunately a rough growing year in some parts of Europe. We just arrived in Moldova, and have hopes to try our hand at picking grapes in the coming days. So far, it’s been well worth the long bus trips to get here. Are you in Asia or the Pacific NW for autumn?